I have a secret. It is not one that is burdensome or could land me in hot water. I have traveled all over the world, and one of my passions is recreating food that I have had elsewhere. I have a busy life. It is so busy that I can’t even with the use of my tiniest handwriting stay in the confines of my daily planner. There are field trips, homework, business obligations, soccer, dance, chores to do, vacations to plan, birthdays, holidays and dinner to cook. 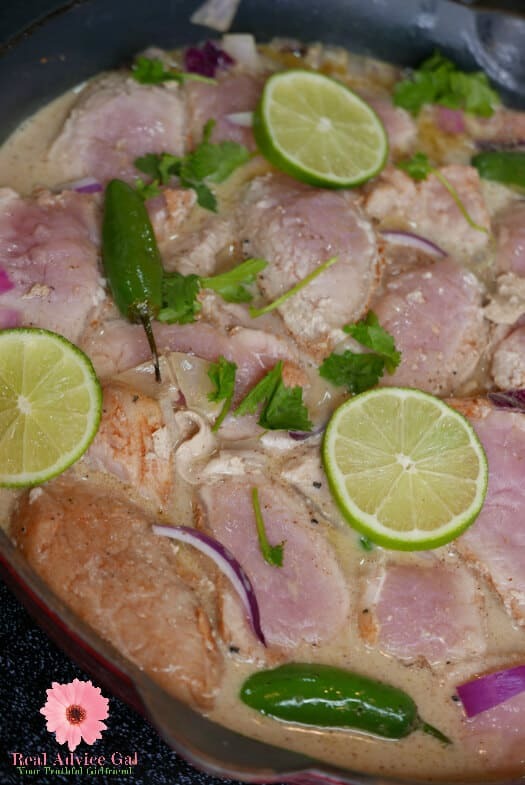 That is why I need to be able to get real flavor, real fast for quick and simple summer meals, that is why I turn to Smithfield Marinated Fresh Pork. There are a couple of reasons why I chose Smithfield. The first is simply the taste. The flavor combinations are incredible. 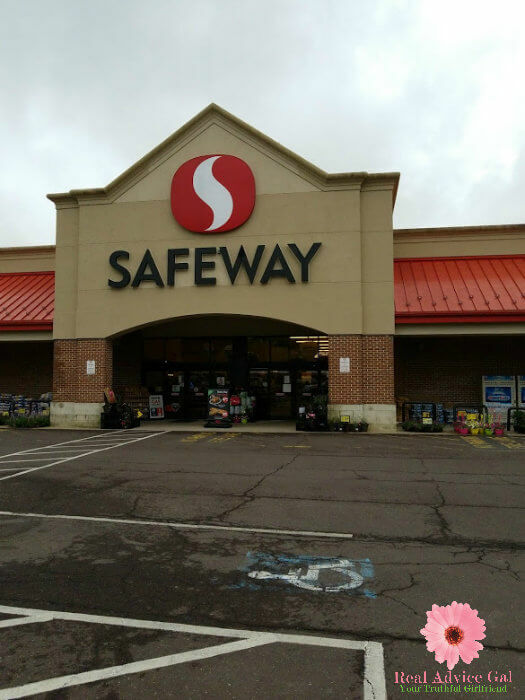 There are so many exceptional flavor combinations that I couldn’t select just one when I went to Safeway. The second reason is the cost. You know I love to save both time and money so it shouldn’t surprise you that I value how reasonably priced Smithfield products are. 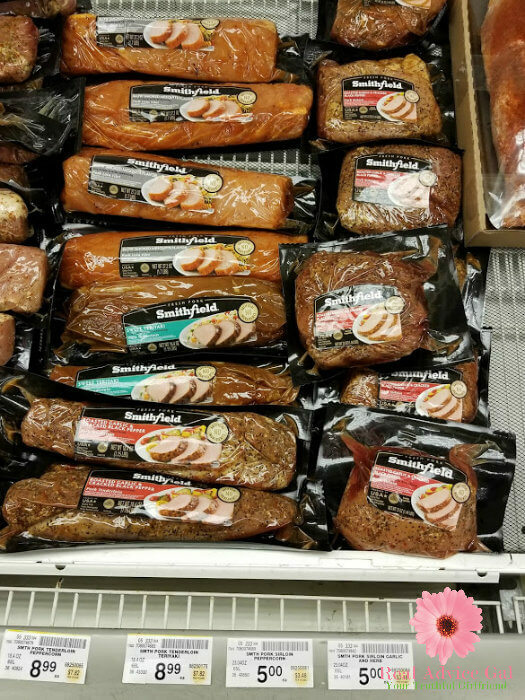 You can find Smithfield products in the fresh meat section at Safeway. The third reason is they do the work for you. I will admit as much as I like to cook, I often forget to marinate the meat until it is time to cook dinner. That means the meat doesn’t have the time to soak in the flavor. Smithfield does all that for you. That way you can get right to cooking your meal without doing any prep ahead of time. 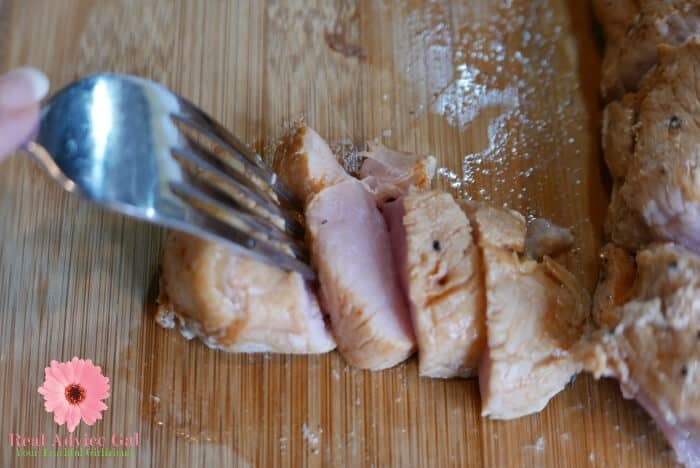 I will also admit that I keep these handy in the freezer because you can make so many tempting, delicious, and easy meals using Smithfield Marinated Fresh Pork as the main ingredient. 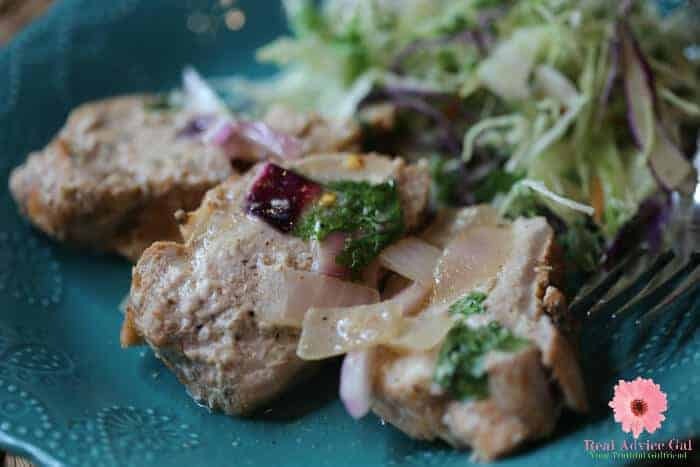 I wanted to transport my tastebuds back to Thailand, so I used the Smithfield Slow Smoked Mesquite Flavor Pork Loin Filet to create this Thai Pork with Coconut Milk. It was epic according to my daughter. 2. Melt the coconut oil in a large skillet over a medium-high heat on the stove. Add the Smithfield Pork Loin Filet and cook for three minutes on each side. 3. While the pork is cooking add in the white and red onions. 4. Then add in the chili peppers. You can chop them, but I do not so anyone who wants heat can eat the pepper and those who do not want heat can skip the pepper. 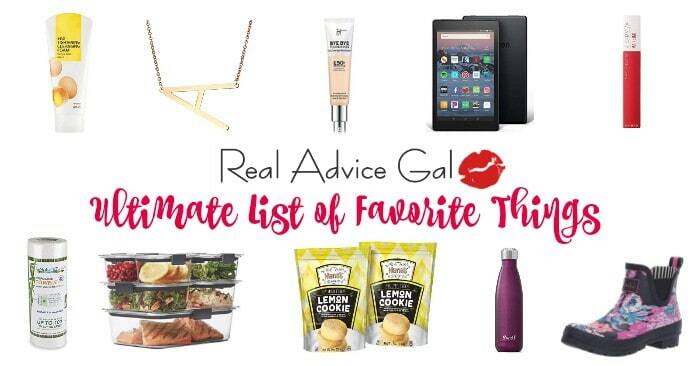 That way it’s perfect for all taste buds. 5. 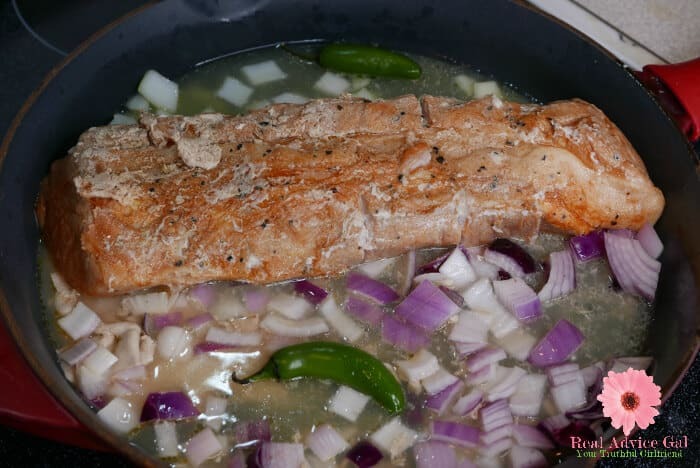 You will need to add chicken stock, lime juice, salt, and pepper. 6. Take the pork out of the skillet and slice it. 7. Before you return the pork to the skillet add in the coconut milk and the red pepper flakes. 8. Bring the mixture to a boil. Then reduce it to a simmer. 9. Return the pork into the coconut mixture. 10. Add in the cilantro and slice the lime on top. 12. You will need to cook the pork for another 7 minutes on each side. Make sure the pork is 150 degrees. 13. Then, plate it and enjoy. 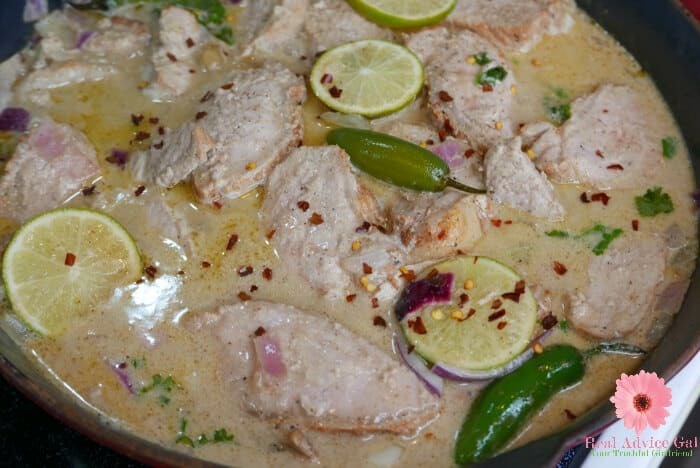 This Thai Pork with Coconut Milk is easy to create in 30 minutes or less. 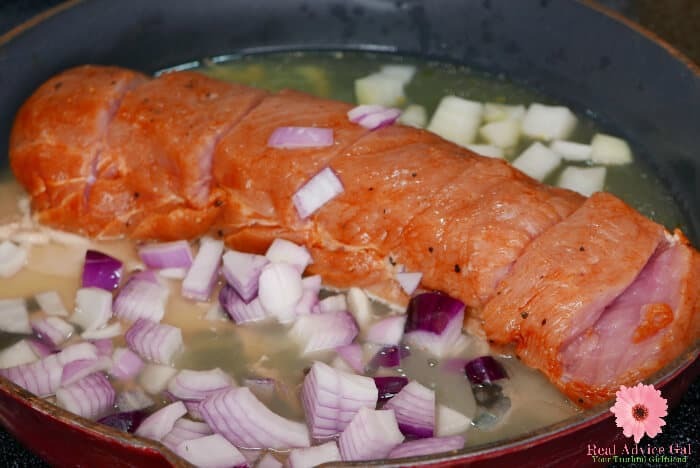 It’s tasty, and the flavorful meal is one that will become a family favorite. It is Real Flavor, Real Fast. 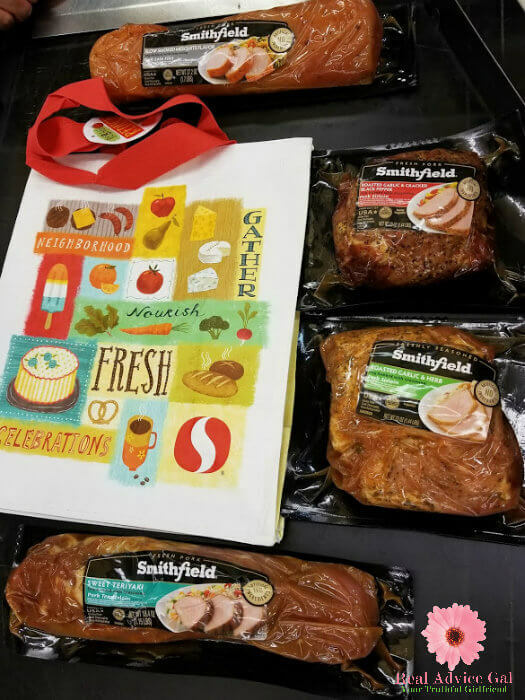 Smithfield is also challenging you to see what you can do with Marinated Fresh Pork to get a flavorful meal ready in about 30 minutes with their “What Can You Do With 30?” meal and tip contest. 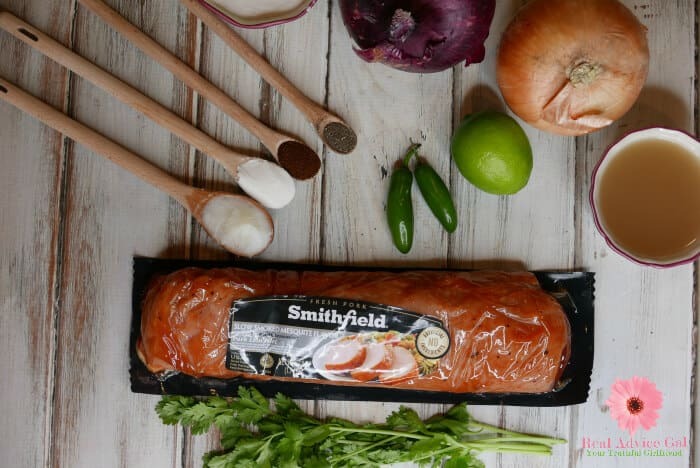 For more 30-minute meal preparation ideas, and to submit your original recipe for a chance to win great prizes just go to www.SmithfieldRealFlavorRealFast.com.